Nevertheless, doctors allowed continuing the hearings with the participation of the defendant. 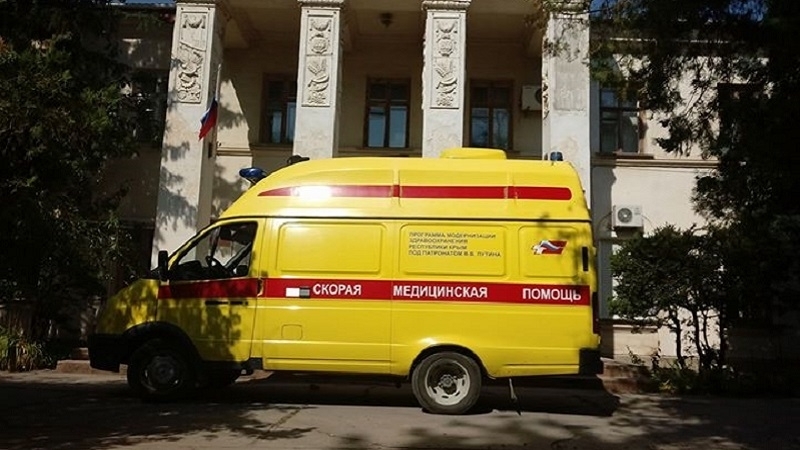 The court session on the case of Ukrainian activist Vladimir Baluh had to be interrupted in the Kremlin-controlled Razdolnensky District Court in the Crimea, due to the ill health of the defendant. Soon after the start of hearings, when the prosecutor began to read the case materials, Vladimir Baluh collapsed. An ambulance was called to him, and it took defendant to the hospital after examining. The doctors made Baluh an injection to normalize the pressure and he felt nausea. Despite this, the doctor issued a certificate that the trial can be continued. Vladimir was taken back to the court. The so-called "Supreme Court" of Crimea dismissed the appeal of the Ukrainian activist’s lawyer against the Razdolnensky District Court decision on groundlessly extending the detention as a preventive measure for the Crimean farmer Vladimir Baluh. The period of remand in custody is the same, until August 21.